Well, it's finally SATURDAY! It's been a loooong week and it seems like everything electrical or electronic I touched most days this week, either broke or didn't work properly. Let's see--my undercabinet CD player/radio in the kitchen decided to play games with me, Eric's seat adjusters in his car made my head go all the way to the ceiling without pushing a button, our icemaker still isn't 100% even after having a guy fix it, my DVR didn't record Parenthood (the WORST! ), our bedroom light is now flickering when I turn it on, and some computer stuff that didn't like my logins was getting my goat for 3 days. THAT'S IT! I'm moving to the hills and "livin' off the land". NOT!! I need my amenities too much! You can't stamp in the grass anyway. It's uneven. So let's move on, shall we?--I'm TOTALLY ready after that ugly week, are ya'll? 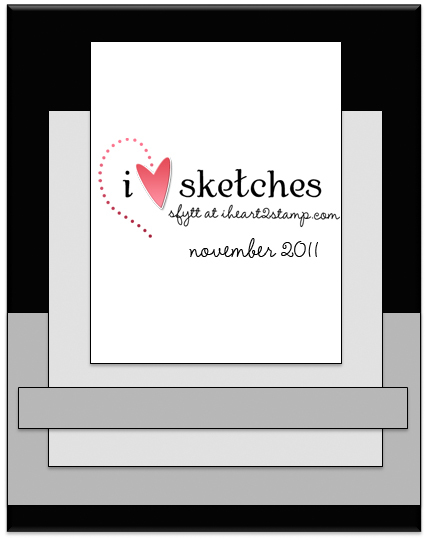 It's a new month and Jen's got a NEW Sketch for You To Try! This is a great one, and full of possibilities and versatilities. 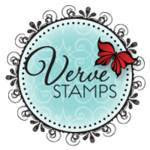 Verve Stamps is our sponsor this month. YIPPEE!!! I love being a Verve Inspiration Diva! Here's a little surprise for ya'll! Julee, the owner of Verve, sent the SFYTT sisters who are also Verve Inspiration Divas a few goodies that are from the upcoming NOVEMBER release to give ya'll a SUPER EARLY PREVIEW of this Bright Spirits set. 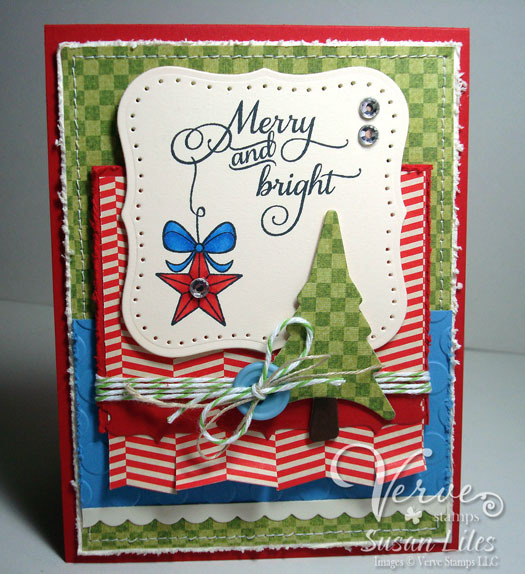 You'll also notice a fantastic new little tree die called Winter Fun. There's also a coordinating Plain Jane (single stamp-Winter Tree) of the tree, but I left mine "plain" and unstamped for this embellishment. Ya'll are going to LOVE the new release stuff! SUSIE Q-TIP: Cut herringbone or chevron patterned paper along the zig-zag pattern on an edge. Then cut slits upward and furl. This creates banner/fishtail type ends and adds a lot of dimension. You'll be all trendy. LOVE how you cut the chevron into strips!! And that tree is totally awesome! Can't wait to see the entire set! Great card, Susan. I'm so happy to be playing along with you gals this month! 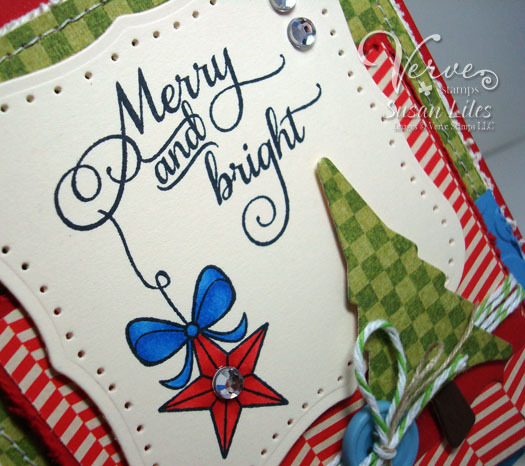 Gorgeous and so festive, Susan! Susie, this is fantastic! Wonderful colors and details1 I just love that checkerboard tree! Sweet Christmas card! So pretty! I love the detail of the red paper.